What items are forbidden and what restrictions apply regarding services? • Living animals • Firearms • Items of exceptional value (e.g. works of art, antiques, gems, gold, and silver) • Money, negotiable items, and prepaid credit cards • Alcohol • Jewellery and watches whose value exceeds CA $500 (not imitations of jewellery and watches) • Furs • Ivory and ivory objects • Dangerous goods/materials (in accordance with IATA standards) • Perishable goods • Pornographic material • (Wild) Animal skins • Plants • Seeds • Tobacco and tobacco products • Explosives • Gas • Flammable liquids • Solid flammable substances • Toxic or contaminant substances • Radioactive material, etc. Besides the above-mentioned items, the following goods cannot be shipped by air (EXPRESS AND EXPEDITED services): any kind of perfumes, even if they are well-protected or packaged, battery operated laptops (we can ship the laptop but without the battery, as any kind of batteries are forbidden). What is a minimum fee for shipping by sea? (Economy)? This fee is a minimum fee charged for each package and is determined according to the country of destination. You can ship parcels weighing less than the required minimum; however, the fee will be charged by the minimum weight. - (EU 5): Cyprus, Estonia, Finland, Greece, Latvia, Lithuania, Sweden: 15 kg minimum each package. Minimum fee each package is 274$, over: 6.36$ / lb. This minimum fee applies because local delivery costs must be covered, even if your parcel weighs only 1 kg. Local delivery costs include the required delivery time and local transportation expenses. By shipment, we mean transportation to a certain address, for which a separate, individual bill of lading is prepared. - Romania: 1-5 lb = 74CAD; 6-9 lb = 114CAD; 10-19lb = 144CAD; 20-39lb = 184CAD; more that 40lb: 4.59CAD/lb; – other countries (delivery to the Airport only, minimum chargeable 50 kg): please contact us for the rates. Do you deliver to any address? We deliver to the receiver’s door anywhere in Romania, Hungary, and Bulgaria and all country listed above. We have several distribution points in the Republic of Moldova. For other countries, delivery depends on the country of destination. Is the receiver notified about the delivery? Depending on the city and area, the receiver may or may not be notified by phone. Should no person be present at the address specified on the delivery slip at the time we attempt delivery, the receiver will be contacted by phone later on (not the same day) to arrange delivery. Two delivery attempts will be made in the specified city should the receiver cannot be contacted or the contact information be inaccurate. We also deliver on Saturdays until noon. What is a delivery standard? The delivery standard is an estimate of the time required for the transit of the parcel, the regular scan inspection, customs clearance, and parcel delivery. Delivery standards for our services are: EXPRESS (by air): up to 7 days (any destination); EXPEDITED (by air): up to 7 days (Romania); ECONOMY (by sea): 4 weeks (Romania), 4-5 weeks (Hungary, Bulgaria, Moldova, other European countries). Delivery standards are calculated from the date the ship leaves port (for sea shipping) or the parcel is dropped off at the airport (for air shipping). NOTE: These standards are observed and are GUARANTEED. Exceptions might occur in transit with EXPEDITED and ECONOMY services, due to various NATURAL, unexpected/unplanned changes in the calculation of delivery standards. Causes of such changes may be: bad weather, technical difficulties, strikes, detailed physical inspections of the State authorities in the country of departure, during transit or at destination (such inspections take longer than regular ones that are performed by a scan, at drop-off, and were taken into account when calculating delivery standards), etc. These exceptions are totally involuntary and cannot be foreseen or predicted. Can I add information or modify receiver’s data for a shipment? You can add further information such as a phone number, for free, while your shipment is in transit, for the following services: Express, Expedited, and Economy. Such additional information can be data that the sender was unaware of when dropping of the parcels. It is essential to provide an exact address and phone number so we can deliver your parcels on time. Only the sender can modify the receiver’s information. Such modifications can be accepted or not depending on the service you chose: EXPRESS – receiver’s information can be modified for free within 3 days from the parcel drop-off; after 3 days, modifications can be performed at the following fees: CA $0.50/kg before the parcel is received by local couriers; CA $1/kg if the parcels are in the local couriers’ possession (within a radius of no more than 25 km from the initial point); ECONOMY – receiver’s information can be modified free of charge while the parcels are in transit and before they are transferred to local or regional couriers. Once the parcels have been transferred to local couriers for delivery, modifications can be performed at the following fee: CA $1/kg (within a radius of no more than 25 km from the initial point). What are the maximum weight and size allowed? We accept parcels exceeding the maximum weight or size. They will be considered as oversize or volumetric and will be billed in accordance with the regulations regarding oversize parcels. There is no limit to the number of parcels. You can ship as many parcels as you wish without paying additional costs for oversize or volumetric shipping if you follow the 4 easy rules as mentioned above. What is an oversize parcel? Parcels or goods whose weight exceeds 30 kg or whose size (length + width + height in cm) is larger than 170 cm (e.g. 60 x 60 x 50 cm). A separate fee will be charged separately for handling. In accordance with the Labour and Safety Code, additional staff is required to handle heavy or volumetric parcels. How do I make the parcel? 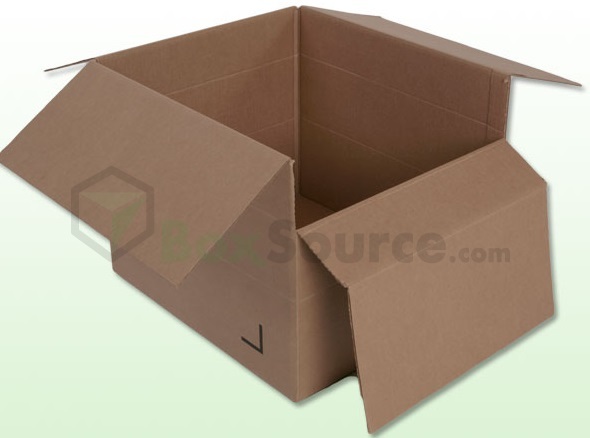 We recommend using cardboard boxes – any kind of sturdy cardboard boxes – no matter if they have been originally used for transporting other kind of products or if they have printed information on it. Boxes used for paper napkins or towels can only hold the weight of these products and therefore we do not recommend using them as they can break very easily if the goods you are shipping are heavy. Also, be careful when buying boxes from specialized stores such as Home Depot, U-Haul, or Lowes; make sure they are sturdy. We do not impose any kind of standard boxes; you can use any size boxes as long as you follow the 4 rules mentioned above. Boxes must fit the size of the goods that will fill them. Their contents must be properly padded and arranged. Tape the sides and corners of the box generously (we recommend transparent or brown duct tape; grey duct tape is NOT recommended as it peels off easily). You can also wrap the parcels in plastic foil for enhanced safety, or if you wish, you can tie them with rope to make sure they are even better fastened during transportation. On the parcel, affix a label containing the following information: sender’s and receiver’s last names, first names, addresses, and phone numbers (one visible label is enough). I don’t have cardboard boxes. Is there anything else I can use? You can also use plastic boxes or suitcases. Plastic boxes must be wrapped in plastic foil. Make sure the volumetric weight is right. You can use this formula to calculate it: length (cm) x width (cm) x height (cm) / 6000 = volumetric weight (kg). Shipping fees are calculated according to the highest result of the actual weight and the volumetric one. Suitcases must be properly wrapped in plastic foil. Make sure the label will not come off during transportation and that you affix one paper sheet-size label on each side of the suitcase. Be careful with suitcases with a textile outer shell; duct tape easily peels off of them. We accept suitcases as an alternate packaging; however, we do not recommend them. The goods I am shipping have irregular sizes. What do I do? All goods shipped by sea or air must be properly packaged. Goods cannot be shipped in bulk and must be properly identified with a label containing the sender’s and the receiver’s addresses. For irregular sized goods, please contact us to obtain advice on how to pack them. Example: Carpets must be rolled down, folded, and packaged in large dark coloured garbage bags. Skis must be packaged in dark coloured garbage bags. Bikes can be packaged in cardboard boxes that you can buy or obtain from specialized bike stores. Children’s ATV must be placed in wooden boxes. What does the parcel have to look like when I drop it off? Your parcel must be closed, sealed, and bearing the identification label containing the sender’s and the receiver’s information. This is very important as it allows us to speed up the parcel drop-off and bill of lading preparation process, and to respect our other clients’ waiting time. How and where can I get free cardboard boxes? We can provide free boxes anytime at our offices, during our opening hours. Please prepare and package your parcel at home before you drop it off. This way we can all respect your waiting time and speed up the processing times for our other clients who drop off their parcels. Your parcels must be closed, sealed, and labelled. We do not recommend that you prepare your parcels or bulk goods at our offices. We accept: cash, personal cheques made out to our company (WordLineCargo Inc.), debit cards, credit cards (Visa or Mastercard). We do NOT charge fees when you pay with a credit or debit card. You pay for the shipment and we pay the fees!